So much tampon news, guys. First, I just heard about the tampon tax. Say what? As in, in 40 states classify tampons and period-related stuff as a “luxury” item and subject it to sales tax. While a period is the furthest thing from a luxury, it’s lumped into a set of items that are deemed “non-essentials” and taxed. I went deep into internet research (this article lays it out well) on taxes and it’s way complex and every state is different. But, getting out of the weeds and into the simplicity of an essential vs. non-essential, tampons and pads are most definitely essentials. Two Chicago aldermen are trying to lead the way getting rid of the tax – we pay 10.25% sales on tampons in the city – and bills are being introduced in a handful of other states, too. Kinda maddening, right? Admittedly, I’ve been thinking about tampons more this past six months than I have in the 20 years I’ve been using them. The renewed focus on the makeup of tampons, mainly. Cotton tampons aren’t fully made of cotton – there are additives, synthetic fibers and we don’t totally know what is in there. This became another one of those “oh really?” moments for me when period startups LOLAand THINX launched. I love that tech companies are centered around improving menstruation. The convenience of delivering to you, focusing on improving the quality and delivering a beautifully designed product. Many of these startups are also building cause into their business model – Cora gives a month’s supply of sustainable pads to girls in developing countries for every month’s supply of Cora you buy and THINX helps girls and women in Uganda with every pair you purchase. There’s no reason that a tampon can’t be pretty. I actually paused my LOLA delivery this month to give Cora a try – I’d previously been on the waiting list and was so excited when they officially launched last week! 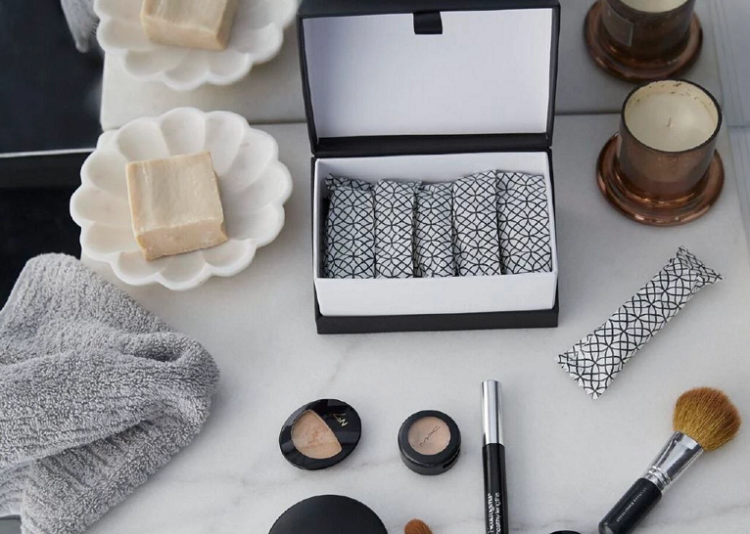 The signature kit comes with a little black clutch to store an entire day’s worth of tampons and there are single use stowaways (their term) that means you can easily stash a tampon in your purse without fear of it getting crushed. If you sign up and use laurie79 you can get a free month. 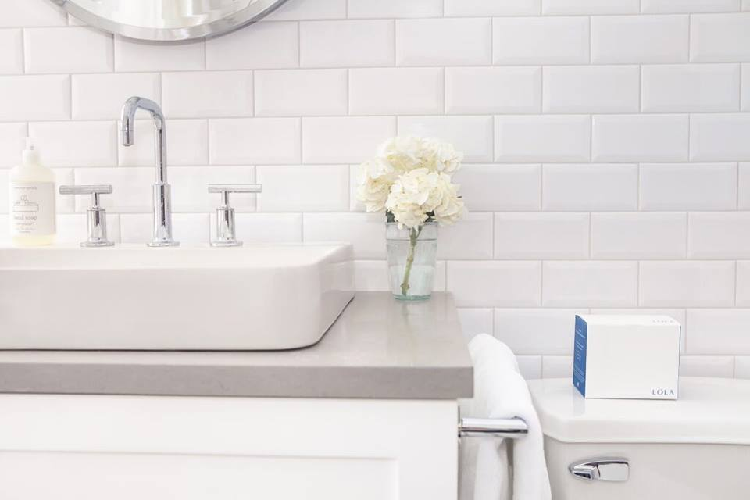 Oh, and I’m also curious about Honest Company’s Organic Tampons. They have a Super Plus option which is so needed when you’re about that Paragard IUD life. Has anyone tried?